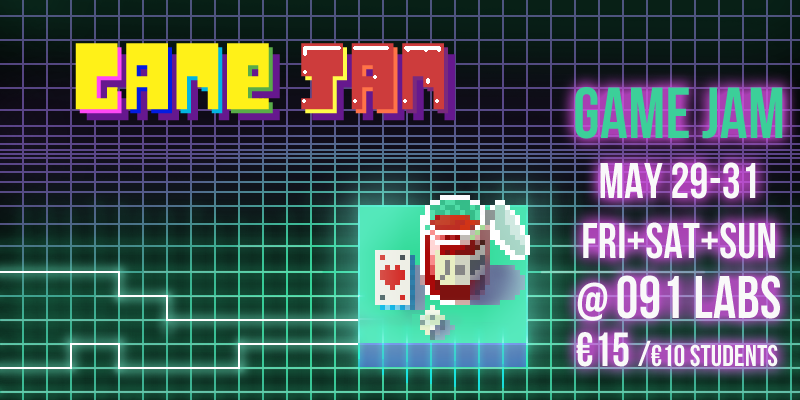 Here’s a ‘retro’-esque version of the promo image for the upcoming game jam I”m organizing. David Hasslehoft’s ‘Lone Survivor’ song for the kickstarted short-film Kung Fury is stuck in my head. Action-Action!